The Enlightened seek to embrace the power that this energy may bestow upon us. “The Resistance” struggle to defend, and protect what’s left of our humanity. The game requires 3 essential resources for you to enjoy the experience: Time, Travel (gas), and Teamwork. The game experience will have to interact with “Portals” established by the Niantic Virtual Reality programmers that are socially interesting sites to visit (e.g., monuments, historical places, parks, popular restaurants, etc). While the game play itself may seem silly at first, it’s no different than any other strategy game going back to Chess. Simple game play is possible by yourself, or very complicated as you work to place an imaginary field (or is it?) over 3 nearby Cities or States. Team play will require the use of communication tools such as Hangouts, Slack, GroupMe, Zello, and/or Telegram. 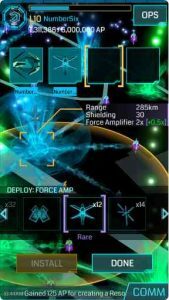 Join the Resistance and fight the use of Alien Technology release through CERN into the virtual simulation. Then, make some long-lasting friends along the way. You decide the true game experience. As far as the “cheating” in the game, it’s no different than any other computer platform dating back to Sir-Tech’s Wizardry on the Apple II+ system back in 1984. Join, have fun, and choose the game play that suits your personality.